Personalities at Work is a one-day program that enables groups to improve communication and cooperation, reduce conflict, and increase appreciation for diversity by exploring the nine personality types found in the workplace. During the first phase of the program, participants learn about their personality style through the combination of a written assessment, small-group exercises, and an introduction to the Enneagram model of personality styles. This session focuses on the motivations and typical behaviors of each personality type, along with topics such as what each type likes and dislikes in others, how they approach problem solving, how they frustrate other people, etc. Participants also learn about typical performance roadblocks for their personality types and learn strategies for overcoming them. The second part of the program focuses on applying the understanding of the personality styles to interactions with others. Blind spots and defensive routines of each personality type and their impact on work relationships are identified, and simple exercises for overcoming these problems are conducted. Techniques for effectively communicating to the nine personality types and guidelines for building cooperation among team members are provided. Personalities at Work is based on the groundbreaking book, Awareness to Action: The Enneagram, Emotional Intelligence and Change by Robert Tallon and Mario Sikora. This program is ideal for any group that wants to increase its ability to work and communicate together effectively. 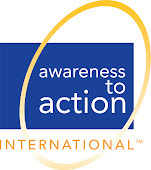 Awareness to Action is a two-day, interactive workshop expands on the Personalities at Work program. It identifies how each of the nine personality types behaves in 16 emotional competencies and charts a path for personal growth and performance improvement. It addresses the practical concerns of people interested in performance in the workplace. We have delivered this workshop to help individuals and teams improve performance in organizations as diverse as family-owned businesses, government agencies, and Fortune 500 companies. Contact us today to find out more: 215-825-2501 or info@awarnesstoaction.com. Our consultants will develop a customized program to help your team reach new levels of performance, combining individual coaching, 360-degree feedback, and group activities.